Microsoft showed up in a big way at its Inside Xbox livestream this week, announcing the Xbox One S All-Digital Edition and its Xbox Game Pass Ultimate subscription service all at once, but the company wasn't done there. 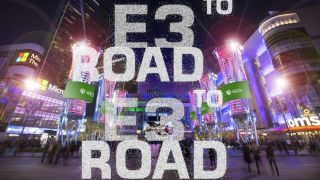 In a conversation with Major Nelson, Head of Xbox Phil Spencer came on the show to talk about his plans for E3 2019, teasing big things on the way for those who are worried that this year's gaming expo will come up short now that PlayStation has opted out of attendance. You can watch the full interview in the Twitter video below. "This is going to be an interesting [E3]", said Spencer. "We are the only platform holder that has a live stage show, and it's kinda just us this year. I feel the responsibility of that... I want to represent gaming, and I think it's an important time when the larger community [...] is looking at the gaming industry. I think it's a time when we pop above the noise thats out there." Aside from hinting at an appearance from Obsidian's The Outer Worlds, Spencer stopped short of revealing any definitive information about what to expect from Xbox's E3 2019 press briefing, but he did promise that developers from the company's pantheon of newly acquired studios (which includes Ninja Theory, Playground Games, and more) will be showing up on the stage to reveal what they've been working on. "Our new studios are gonna have things to show which is gonna be awesome", Spencer explains, promising "some new things that nobody has ever seen before, which will be fun." That said, the Xbox exec admitted that "it’ll take years to have [the new studios] fully integrated and delivering in the same way as all of the teams, because different teams are at different parts of their development cycle... but I think its gonna be just really interesting to have those teams showing up this year and starting to show what they’re building for us." Xbox's trifecta of announcements on its live web show coincided with Sony's sudden info dump about its next-gen console, the PS5, which it finally confirmed to be in development earlier this week. Will we be seeing anything about Microsoft's equivalent, the Xbox Project Scarlett, at E3 this year? The ball is in Spencer's court. Find out the E3 2019 games we know about (and the ones we think we know about) by following the link, or watch the video below for a look at the new games of 2019 on the way.